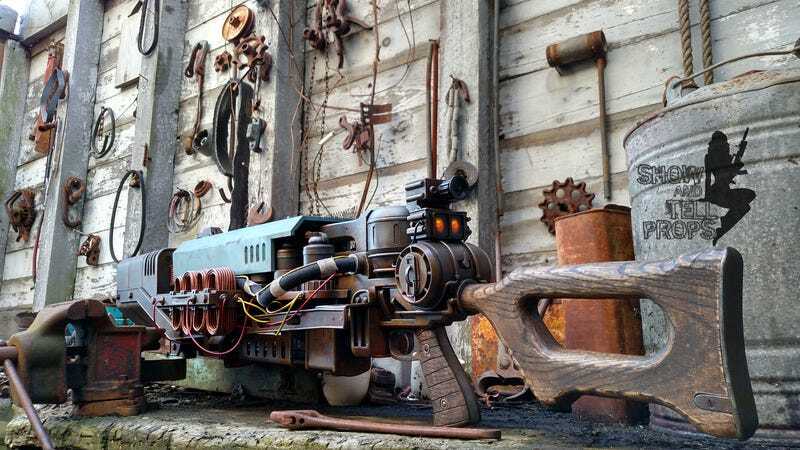 The talented folks over at Show and Tell Props made a real life version of Fallout 4's limb-destroying, unique gauss rifle, The Last Minute. It’s an awesome-looking replica and with that scrap table in the background, it’s ready to get some mods too. Here’s some work in progress pics by Show and Tell Props and a thread over here with even more shots.